Don’t forget to wear something RED this Sunday, June 4, so that the church looks full of fiery red flames. Why? It’s the Feast of Pentecost, when the Holy Spirit came on the disciples like tongues of fire. 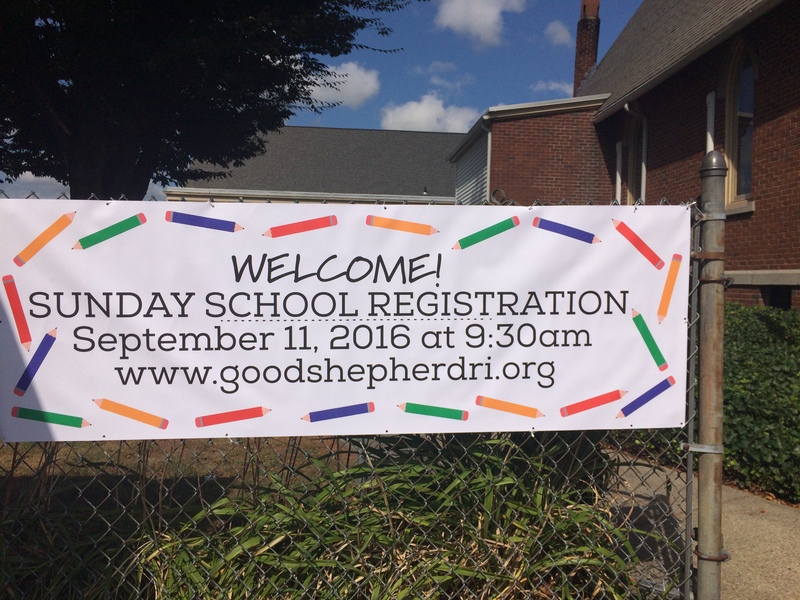 We are kicking off a full autumn at Good Shepherd this Sunday. Worship moves back to our regular 10 a.m. time AND back into the church, where renovations and updates are just about complete. We are also launching our new Sunday School program, Building Faith Brick by Brick. Registration will begin at 9:30 a.m. in the parish hall and Sunday School itself begins at 10 a.m. in the Jenks Room. Children join their families in the church service just before the Offertory. This summer we are worshiping in the Parish Hall, as the church itself is under renovation. We are repairing some significant water damage suffered in the winter of 2015 and taking advantage of the opportunity to finish some renovation of our plaster walls, some of our floor, and some internal systems. We hope everything will be done by Labor Day.